Fanuc's ai series servo motor, spindle motor and servo amplifier provide you with high speed and efficiency with nano control as well as accurate precision while saving you money in energy costs. 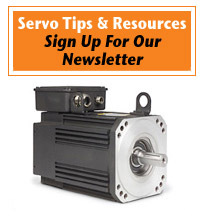 Built to conform to the UL/CSA standards for North America, the compact servo, spindle motor, and servo amplifier will also save space in your facility. 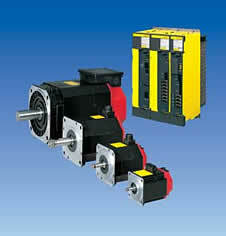 As an industry leading provider of Fanuc servo motor repair, TigerTek frequently works with motors from the ai series (also referred to as the Alpha-i series). What do we love about these components? The ai series servo motor offers ultra-smooth rotation and quick acceleration making it perfect for axis feed in machining tools. Its compact size will allow you to downsize machine tools. It's available for both 200v and 400v input and for even quicker maintenance, it's equipped with ID information. The larger servo motor is better suited to the electric drive of large machines such as press and injection molding machines, providing torque up to 3000Nm and an output of up to 220kW. The high speed servo motor is well suited to live tool axis in compact machine tools with a maximum speed of 6000min-1. The optimized winding design and cooling structure of the ai series spindle motor provides constant power up to high speed and quick acceleration. Models are available with both 200v and 400v input and selection should be predicated upon the input voltage of the delivery area. High spindle torque is increased at low speed range. The large spindle motor is perfect for large vertical lathes, M/C's (including bridge-type) and provide an output up to 200kW and torque up to 2000N. Fanuc's ai series servo amplifier is more compact and offers reduced, simplified wiring that will allow you to downsize cabinets. Although output power is increased, energy consumption is reduced. Single axis and multi-axes amplifiers are available. Speed and accuracy have been improved by SERVO HRV4. The new machine protection function prevents damage to work pieces and tools in the event of a power failure: the motor brake is activated while the stop distance function reacts to prevent the feed axis from crashing. Plus, the retract function on the gear cutting machine retracts tools from your work piece for accurate sync. By emphasizing quality, reliability, turn-around time and competitive pricing, TigerTek is your source for repair services on Fanuc servo & spindle motors. For more information or to speak with a repair specialist, please call us today or contact us now.